They want participation in this commission to be on their terms – either we go to them or use a video link, the deputy chief justice said. 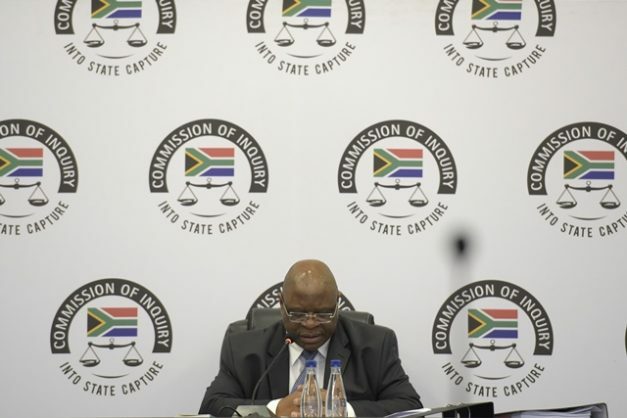 If they were so desperate to give their version of events, the Gupta brothers should return to South Africa to testify at the Commission of Inquiry into State Capture, Deputy Chief Justice Raymond Zondo said yesterday. Responding to a legal argument by Ajay Gupta’s senior counsel, Mike Hellens, who has maintained his client could face police arrest upon arrival in the country when coming to give evidence to the inquiry, Zondo said if the brothers wanted to clear their names, the only avenue would be to present themselves physically before the commission. Ajay is among individuals implicated in evidence presented to the commission now applying for leave to cross-examine witnesses Mcebisi Jonas, Vytjie Mentor and Themba Maseko, who have testified about the Gupta family’s plan to fleece public money and influence Cabinet appointments. Said Zondo: “If they came back to South Africa, they could clear their names but they have decided to take themselves out of the country. They are not prepared to come back because of fear of arrest and they have said the Hawks and the NPA (National Prosecuting Authority) are incompetent. Hellens cited the Bloemfontein High Court ruling earlier this year, in which the Guptas won a major legal battle against the state, which led to the Asset Forfeiture Unit being ordered to unfreeze R250 million in family assets as illustrating incompetence in the police investigation. The court found no reasonable basis to believe Gupta family members and their associates were involved in money laundering and fraud linked to the Estina Dairy project. While he granted former president Jacob Zuma’s aide Lakela Kaunda, NPA advocate Alouis Mtolo and businessperson Fana Hlongwana leave to cross-examine witnesses at the commission, Zondo reserved judgment on Ajay Gupta, Rajesh Gupta and Duduzane Zuma. The commission will resume hearings on Monday.